Earlier this year I met up with a few members of the R Gruppe, and the conversation turned to their annual gathering, known as "Treffen". Treffen is a German verb meaning "to meet", so the name makes sense. I've always been enamored with the R Gruppe ethos, so I asked if it might be alright if I were to attend as a guest. A quick conversation among the council of elders, and our invitation was secured. 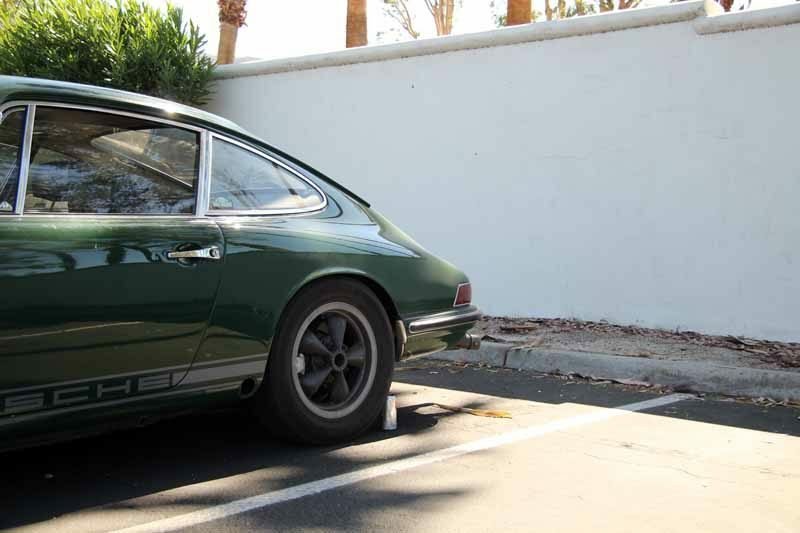 If you're not familiar with the R Gruppe, they are an interesting assemblage of early 911 (and other aircooled Porsche model) owners, that are interested in an amalgam of pure and simple enthusiasm, "Steve McQueen Cool" as well as vintage "Porsche Sports Purpose" equipment. R Gruppe is limited at any given time to only 300 members, and each of them are burdened to prove that their car stands apart from the crowd of "regular" vintage aircooled cars. From my time in the Porsche community, I have seen the R Gruppe get a bad rap, with folks saying that they are elitist or have holier-than-thou attitudes. Having spent a weekend with the folks involved, I can only assume these put downs are formed mostly out of jealousy, as they are probably the nicest and most inclusive group of Porsche folk I've ever met (and that's saying something, because most of the Porsche folk I meet are amazing!). I was invited by a member of the R Gruppe to attend Treffen as a guest, even though my Porsche isn't a vintage 911, or even aircooled. 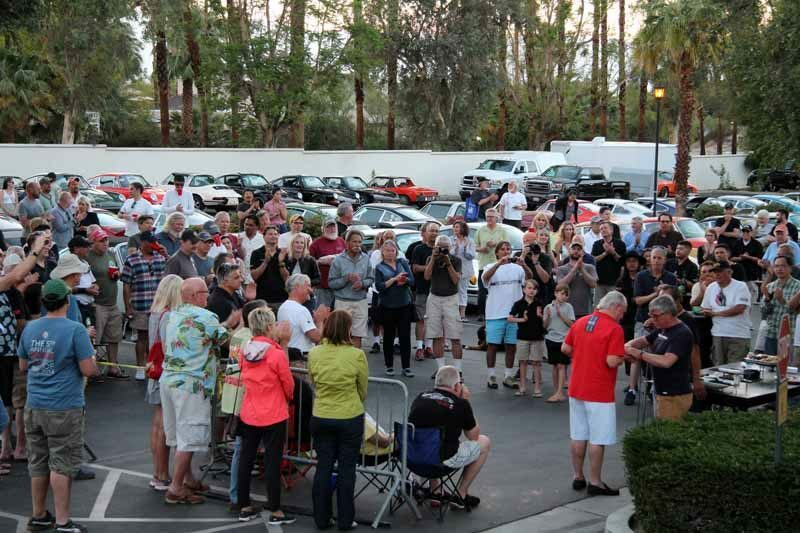 That's right, I attended the best aircooled 911 gathering in Project Boxster Clubsport. 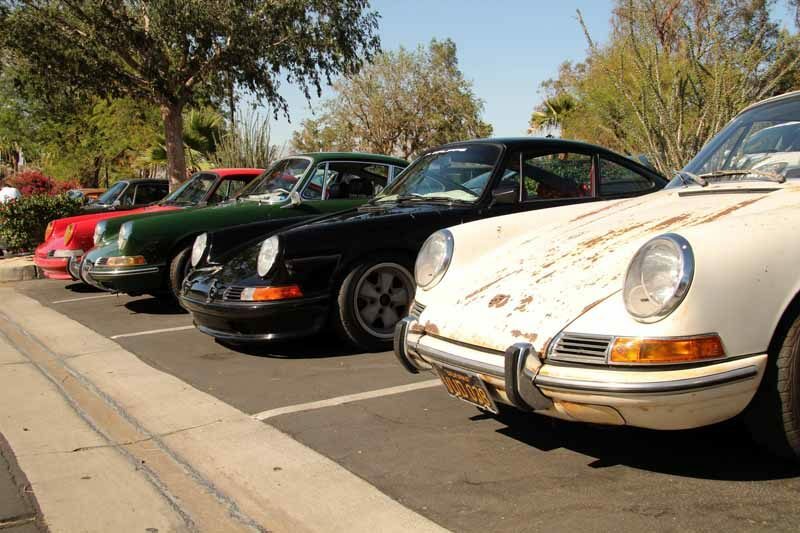 The location changes every year, but this time Treffen was held at a hotel in Palm Springs, California. Its a gorgeous locale this time of year, and the weather couldn't have been better. Starting from our Western US operations center in Reno, NV, I left around 2:00 pm on Friday, embarking on a long 600 mile solo road trip south on US 395 pretty much the whole way. The route is one of the most beautiful in the country, traversing the eastern side of the Sierra mountain range, and even skirts along the western side of Death Valley. Unfortunately the route isn't the most engaging driving experience, but at least it offers pretty vistas. Nine hours later, I rolled into my motel parking lot for the weekend and promptly parked between a Bentley and a Rolls. Saturday I woke bright and early with the taste of vintage Porsche on my tongue. The day promised a good time, and I could taste it. I pulled into the R Gruppe parking lot proper at about 6 in the morning and set about taking photos and saying hellos. The conversation flowed, and as the day got warmer more gearheads arose from their slumber. The prior day had been the R Gruppe's annual Sports Purpose Day, essentially a track day for club members, at Chuckwalla Raceway. Many of the folk assembled were lamenting a late afternoon sandstorm that blew through and left the insides of everyones cars coated in a thick film of dust, and all of the carpets were matted with sand. Nobody was deterred from coming, or from driving their cars, but its safe to say nobody was looking forward to cleaning their cars out when they got home. An odious task, to be sure. Though there were no club-organized drive events on the street a bunch of people decided to go on un-associated drives into the hills nearby for breakfast. I was invited to swing out with a few "clubbies" for breakfast in Idylwild on a nice relaxing drive up and down some beautiful backroads. It was well worth going, as the breakfast was good, the conversation was good, and the driving was par excellence. We were on a spirited jaunt, but cautious and courteous as well. With over 100 Porsches in town for the Treffen, everyone was cognizant of keeping on the right side of the law and in the good graces of the locals. Frankly, it was a refreshing change from most of the single-make club events I've attended in the past. This was our little group of five in the photo above (there's a fifth to the right) that went to breakfast. Later in the afternoon, after returning from our breakfast tour, we returned to the parking lot to talk cars some more. As I said before, there were over 100 vintage Porsches on hand, and each was more lovely than the last. Our Boxster Project was even invited to sit at the big kids table for the day, as an example of what younger generations with a similar Sports Purpose mindset can accomplish on a watercooled platform. I was honored to be able to park in the same state, frankly. The work that goes into one of these cars is spectacular, and the attention to detail is second to none. Many of these cars are carrying real-deal vintage Sports Purpose parts on them, and a lot of them have been heavily massaged in the ultimate expression of speed and style. As the day wound down, the barbecue began, and some awards were given out. The club awards a few cars with their coveted "GT" badge each year, and each year one enthusiast is given an award for long-hauling to Treffen in their vintage car. This year, one intrepid attendee showed up with his 914-6 all the way from Virginia. After seeing that, my paltry 18-hour round trip seemed like nothing. After everyone had had their fill of hamburgers, hot dogs, and other official summer foods, we all gathered around the cars with a few adult beverages in hand and chatted for hours. I was the youngest person in attendance by at least a handful of years, but I was still welcomed warmly. As long as your enthusiasm is on the same level as the rest of the group, you'll always find a handshake and a frosty cold brew at R Gruppe Treffen, just make sure you get an invitation first. Click any image below for the full size version and use the "x" in the top left corner to come back to the post when you're done. And for those interested, Project Boxster Clubsport made it all 1200 miles without so much as a hiccup. This was my Porsche's longest roadtrip ever in our ownership, and it performed excellently. From sea level up to about 11,000 feet, and a temperature ranging from forty to eighty with the top down the whole way. What a riot! Great article Brad. Look forward to seeing you again soon ??????? ?